VPNs are great ways to encrypt your IP address by connecting through a tunnel to a remote server. It’s one of the best ways to protect your internet privacy from deep packet inspection techniques, DDOSers, Skype resolvers, and even internet service providers looking to either market with your data or target you with ads. For people in eastern Asia, censorship is also a serious problem--and a VPN can be a lifesaver, if not a mandatory tool to use. Most VPNs give users IP addresses that are shared across a network, and this can help with anonymity. However, shared IP addresses can give websites various flags that become annoying and bothersome. Sometimes you might not be able to log in, or you might have to verify your computer, or you might even get connected from your ISP that something is wrong with your connection since you appear in a new location. Changing your IP address around a few locations especially if you’re traveling to other countries can also provide to be problematic. 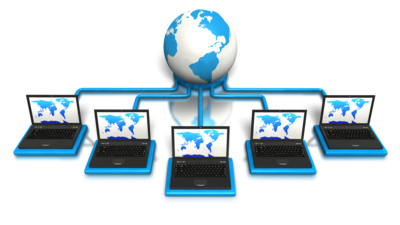 If you’re tired of dealing with these issues, a dedicated IP address can be a good solution. A dedicated IP address can be provided by a VPN provider to give you your encrypted IP address for a small additional cost. A dedicated IP address is static, and won't flag websites requiring another email verification.This can help if you’re looking for consistency in website applications like Gmail, or through your preferred online banking. It can also make online gaming websites, and logins in general work much better. There is a host of VPN providers that give dedicated IP addresses, but our most trusted VPN provider is Torguard. Other providers are just plain shady, with scammy affiliate schemes, false advertising, and unremarkable service. You’ll find these VPNS on a lot of advertising blogs, but Torguard is our highest rated VPN for it’s amazing customer service, fast speeds, support for international customers through Stealth services, and their easy-to-use clients. Lately, they’ve also made huge strides in app support and browser proxy extensions. Torguard also has their blog article detailing some more information on the subject if you want to check it out here.